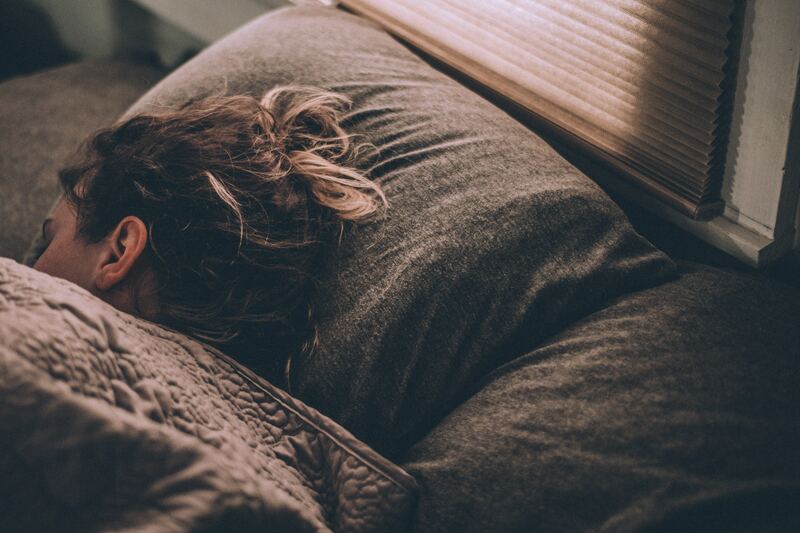 If you’re among the large number of people who struggle with getting a good night’s sleep on a regular basis, here are five things you can do to get better sleep this month. Sleep is essential to everyone’s health and overall wellbeing. However, studies have shown that one in three adults in the United States suffer from sleep deprivation. Not only does a lack of sleep put most people in a bad mood, but it can also contribute to serious health issues including depression, heart disease, and high blood pressure. If you’re among the large number of people who struggle with getting a good night’s sleep on a regular basis, there are some quick and easy things you can do to make sure you’re getting quality sleep. Take a look at these five simple ways to get better sleep this month. Blue light is emitted from devices such as computer screens, cell phones, and tablets. Research has shown that this type of light can negatively impact your sleep cycle by messing with your body’s internal clock. If possible, you should try to limit your exposure to blue light, especially the closer you get to bedtime. Shutting your devices off an hour or so before bed can give your body time to wind down and get ready to rest for the night. You may feel like you’ve outgrown a strict bedtime, but did you know that something as simple as having a bedtime and a nightly routine can help improve your sleep? Coming up with a regular routine will give your body time to transition from your daily activities to rest. This routine can include things like reading, meditating, or listening to calming music. Once you’ve come up with a routine that works for you, the important thing is to make sure you try to follow it consistently. Making sure your home has a clean and comfortable area for you to sleep is a must. It’s important that your room be free of noise and other distractions that can keep you awake. A few things you can do to make sure your room is conducive for sleeping are regularly cleaning and organizing your space, introducing calming sounds and scents, and making sure your room is as dark as possible when it’s time to sleep. This piece of advice may seem a bit odd, but getting more sunlight during the day can actually help you sleep better at night. Our natural sleep cycle results in us being awake and alert while the sun is out, and tired when the sun sets. The more time you spend in the sun, the more likely your body will be to respond to its natural rhythm. If you can, try to spend some time outside during your breaks at work. Lots of people rely on caffeine to get through the morning, but consuming caffeine in the afternoon and evening can make it more difficult to fall asleep at night. Since caffeine can stay in your system for about six to eight hours, it’s recommended that you don’t eat or drink caffeinated products after 4 p.m. If you’ve been struggling to get the sleep you need, the solution may be much easier than you think. With the help of the tips above, you can take steps toward getting the rest you deserve.